The 2018 Russian Open (badminton) was recently held at Sport Hall Olympic, Russia from 24th to 29th July 2018. 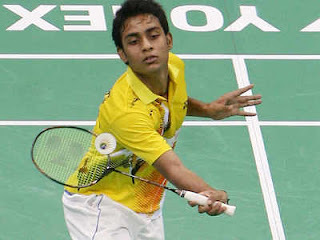 This tournament is important for us because Indian National Badminton Champion Sourabh Verma today won the title in Men's Singles category by defeating Japan's Koki Watanabe. This is Sourabh's fist title since Chinese Taipei Masters, which was held in October 2016. Meanwhile, India's Rohan Kapoor and Kuhoo Garg finished runners-up in the mixed doubles event. Malaysia's Ho Yen Mei won the Women's Singles title by defeating Shiori Ebihara of Japan. This is her second title since winning the Polish Open in 2015. Here is the complete winners list of Russian Open 2018.